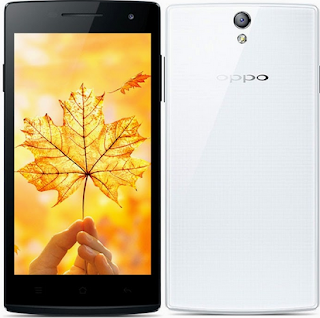 Some of the problems of software that often occur in the Oppo Neo 5 can be fixed by way of flashing, to be used for restoring Oppo Neo 5 bootloop "Botloop is lit screen appears only logo OppoO alone", Frequent appears notification unfortunately the application has stalled, Application not responding, Application can not run, can not be removed applications, Oppo Neo 5 loading very long and Oppo Neo 5 can not be connected to the internet ..
Make sure the battery Oppo Neo 5 is sufficient to perform flashing. Go into recovery mode Oppo Neo 5 by press and hold the Volume Down + Power button simultaneously until Recovery Mode posts appear in the lower left corner of the screen Oppo Neo 5 and release both keys. Wait a while until the Oppo Neo 5 will go to Select Langguage. To get the maximum flashing, Before Upgrading OS Oppo Neo 5 do wipe data and cache with the data and how to select Wipe cache> wipe data and cache> YES confirmation and wipe data Wait for the process to complete. After all the flash Oppo Neo 5 With Memory Card above you can do to completion, if Oppo Neo 5 before experiencing a software problem, of course, now Oppo Neo 5 has been re-usable.